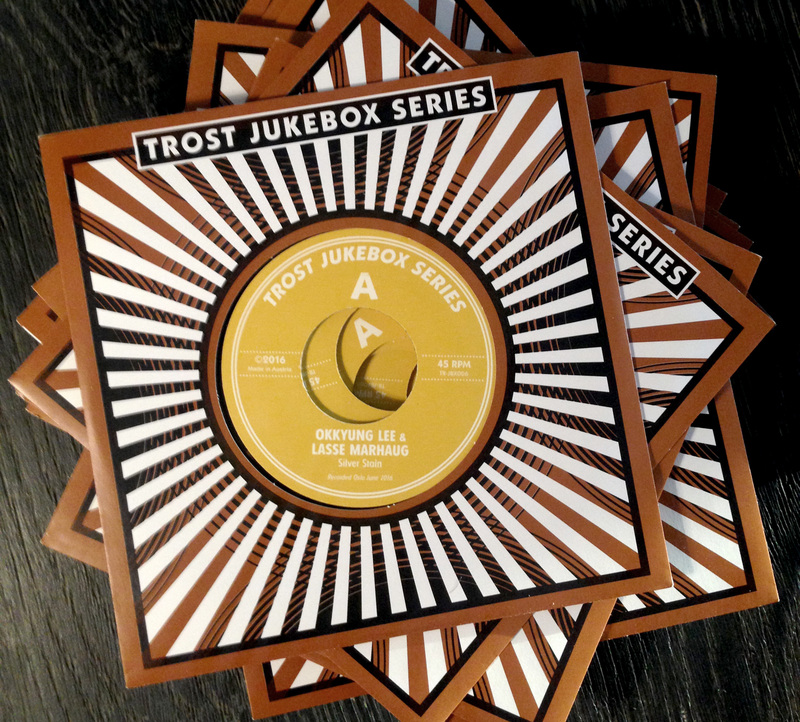 The first duo release of me and Okkyung Lee is a 7″ out now on Trost’s Jukebox series. 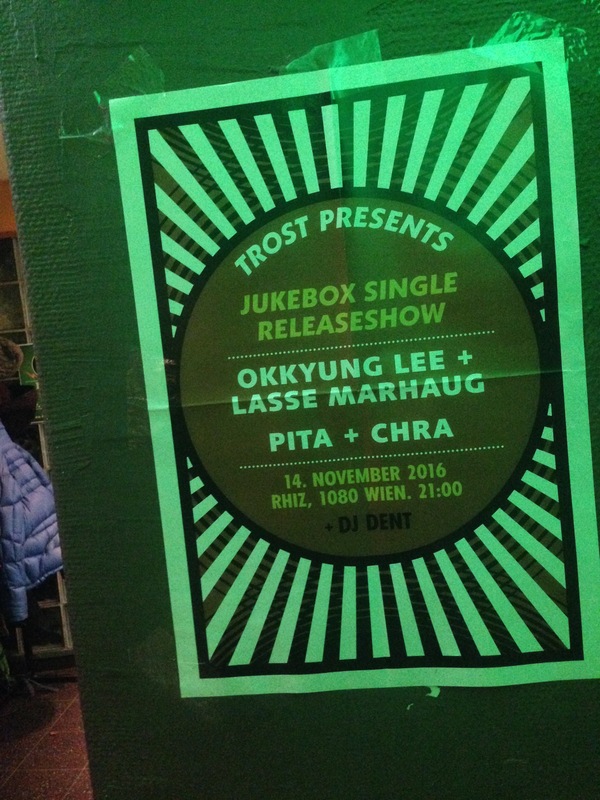 Release party was this monday at the Rhiz in Vienna, thanks to everyone who came. It was a dual release for a Pita/Chra 7″, both of which are available physical and digital formats from the Bandcamp link below. For friends in Norway I also got copies available, email me at mail [at] lassemarhaug [dot] no. Audiographic Records presents the second series of albums on its Systems vs. Artifacts, digital download, imprint- a collection of duos featuring Ken Vandermark performing with three of the most interesting musicians working in the field of contemporary improvised music. SPLINTERS [AGR/SvA-004]: Terrie Hessels and Ken Vandermark have worked together in a variety of contexts, most specifically with the quartet Lean Left (which includes Andy Moor and Paal Nilssen-Love) and in different projects connected to one of the most extraordinary independent music ensembles of our time- The Ex (with Brass Unbound, with legendary Ethiopian saxophonist, Getachew Mekuria, and in other contexts). During the past few years, they’ve also been exploring the duo format. SPLINTERS features music from performances in Vienna during November of 2015, and Eindhoven in 2014- shards of music chopped into spontaneous pieces by guitar and reeds. CLOSE UP (for Abbas Kiarostami) [AGR/SvA-005]: Electronics master, Lasse Marhaug, and Ken Vandermark have been performing in the trio, Fire Room, with Paal Nilssen-Love since 2005. This is their first duo recording, from a unique concert held in Oslo during the spring of 2016- 40+ minutes of incendiary sound dedicated to the brilliant filmmaker, Abbas Kiarostami. SCHLAGER [AGR/SvA-006]: Ken Vandermark saw C. Spencer Yeh perform, “Music For Solo Voice,” during the autumn of 2015 in Vienna, and he hasn’t been the same since. Mesmerized by what Yeh accomplished through deconstructing vocal patterns and processing them in real time, Vandermark asked him to play duo just a few months later. SCHLAGER documents this performance, and takes the human voice, violin, electronics, reeds, and turns them upside down to full effect. Here a time-lapse video of Okkyung Lee’s four hour performance at the 11 hour theatre/performance piece Parallelle Liv from June 11th 2016. 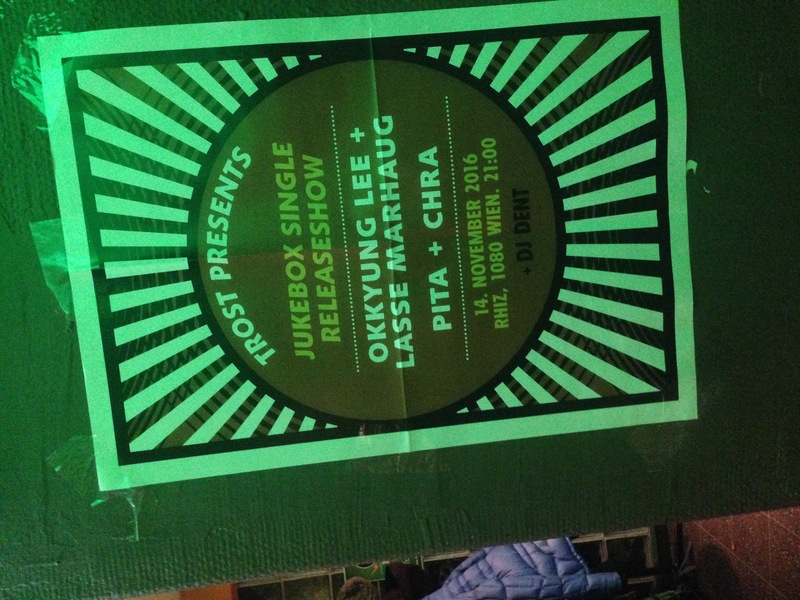 Next weekend we play at Music Unlimited in Wels together with C. Spencer Yeh, and then monday 14th we play as a duo at the Rhiz in Vienna to mark the release of our duo 7″ on Trost Records. Okkyung Lee: an afternoon with me (2016, Oslo) from Lasse Marhaug on Vimeo.